INSPIRE is our beautifully adorned demonstration kitchen. 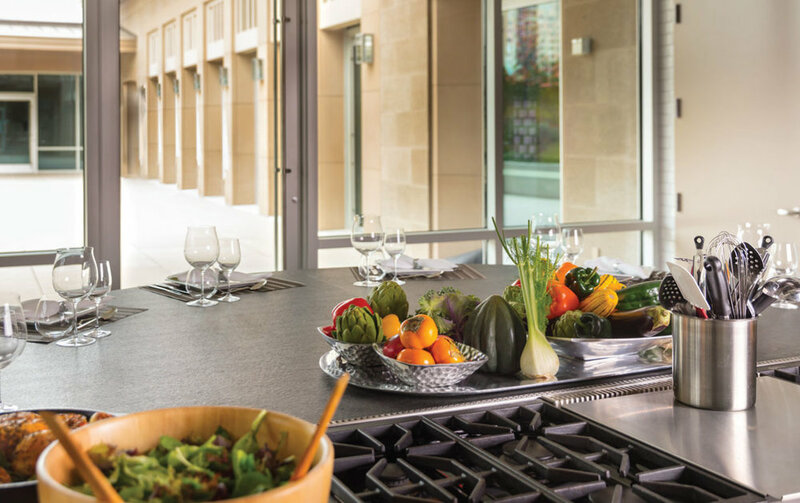 This one-of-a-kind modern space is a perfect setting to welcome a guest chef experience. Sixteen guests can comfortably observe and engage as the chef is inspired to create epicurean dishes to be paired with well-curated wines. The expertly outfitted kitchen is equipped with SUB-ZERO® refrigerator and freezer, WOLF® dual convection ovens, six burner range with flat-top griddle, steam oven, and warming drawer.